Despite housing both the greatest players of our era, little thought has been given to claims that the La Liga could be the best league in the world -it being a two-horse race and all that. But, it appears they are the only major league where the champion has not become a certainty yet this year. Just over a month ago, Real Madridwere sitting pretty at the top with a game in hand and a comfortable four-point lead over Sevilla and a five-point lead over Barcelona. However, now even without glancing behind, they can probably feel the breath of Barcelona on the back of their neck. With just three points separating the top three teams in the league, we have a detailed look at what the future holds for the three major contenders for the La Liga title. For the first time in months, Real Madrid had a full squad of players available for selection but that could not save them from dropping three points against Valencia. The frontrunners also had two games in hand and held a huge psychological advantage going in. Holding your reserves on top of the hill is fearsome, but only if they make it count when they arrive at the field. Real, additionally, are likely to play two matches a week from now till the end of the season owing to their Champions League responsibilities. In the next match, the Los Blancos are up against an inconsistent Villarreal side. The yellow submarine have lost just one of their last six games, and the last three league games between the two have seen the honors split evenly. Should Real come away with three points, their next three games are against Las Palmas, Eibar, and Real Betis before they face Athletic Bilbao. While the three games following Villarreal appear to be easy wins on paper, (the Madrid side has won every single one of these games over the last three years) Real were able to pick just five points in the reverse fixtures earlier this season. The weekend Real play Athletic Bilbao, Barcelona will host Valencia while Sevilla will travel to the Vicente Calderon. Real have not had the best of games against the Bilbao club away winning just one of the last three games. It is highly unlikely that they would end up taking maximum points from these games. The next two games against Alavés and Leganés are gimmies that will yield an easy six points. The three games after GW30 will be instrumental in deciding Real's trophy run. It kicks off with the Madrid derby at the Bernabeu - a game they have lost for three years in a row. Next up will be a Champions League quarterfinal quickly followed by a trip to Sporting Gijon, who held the Los Blancos to a draw in the same fixture last year. The defending Champions will next host Barcelona at home. Real have lost two out of the last three games in the league at the Bernabeu. Taking maximum points out of these fixtures is going to be difficult, and the best that they can hope for his not to lose to Barcelona. 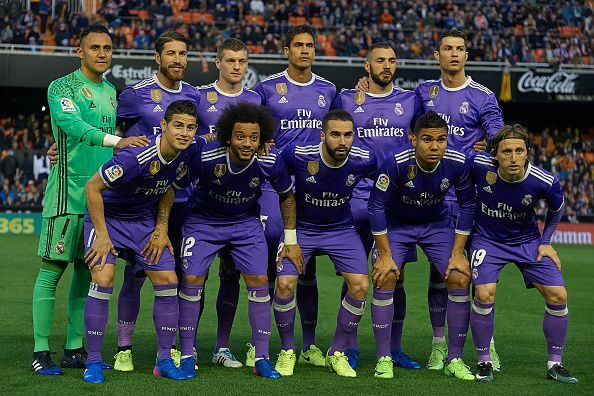 If you think that the worst is over, Real's last month of the season will see them play the only two teams that have beaten them in the league so far. After traveling to Deportivo La Coruña, they will host Valencia - Real have won just a single game in the last three years against them. After the Granada match, they will face possible title rivals Sevilla at Madrid. Both teams have a horrible record at the Bernabeu, but this is a very different Sevilla side as they showed in the reverse fixture in January. They will end their campaign against Malaga. In between Madrid will play Celta Vigo in a game that they should win keeping in mind the kind of record they have at the Balaídos. The defending La Liga Champions had hit top form winning seven games in nine matches - a run tracing back all the way to December. However, a 4-0 loss to PSG in the Champions League has brought them crashing back to reality exposing their ageing midfield. But this could turn out to be a blessing in disguise for them as apart from the league campaign, they will have to play just one game - the Copa del Rey final against Alaves. They start their remaining league campaign against Atletico Madrid at the Vicente Calderon. After failing to win three games in a row at the Calderon, Barca have now won two of the last three. But this is evidently one of their toughest games. 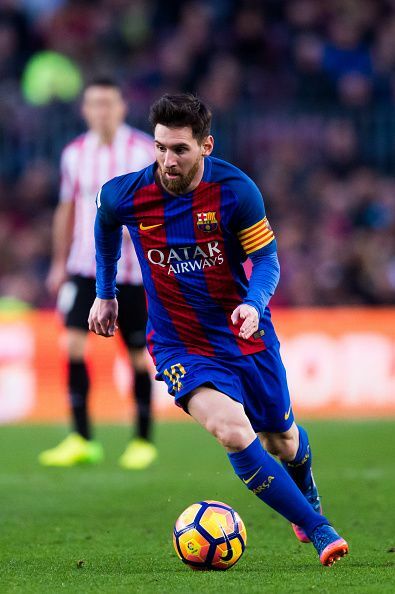 Barcelone will next face Sporting Gijón, who they drubbed by an aggregate of 11-0 in their last two games, and then Celta, whose last visit to the Nou Camp, saw them on the wrong side of a 6-1 scoreline. After facing Deportivo La Coruna, who have conceded 17 goals in their last three home games against the Catalans, the big test of Valencia will await Barcelona. The defending Champions have lost two of the last three games at home against Valencia and it could be yet another classic waiting to unfold. After a breeze against Granada, they face Sevilla, who will most likely be preparing for their first Champions League quarter-final since 1958. 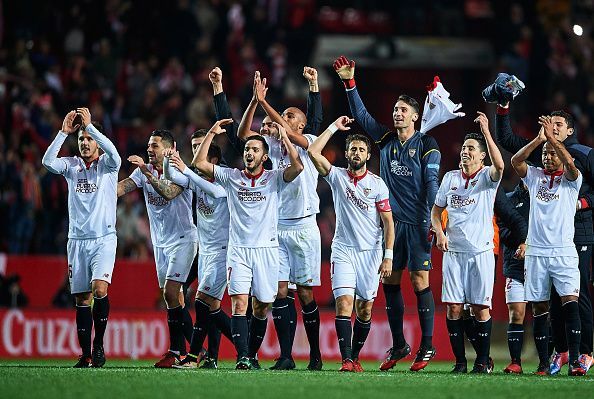 Sevilla's priority might be the European competition, and this might work in Barcelona's favor as their opponents do not have a squad big enough to manage both competitions. In a period of 15 days, when Real Madrid will play 5 games, Barcelona could put some pressure on the Madrid club playing just three league games. The first match will be against the only side that has stopped them from scoring at the Nou Camp this season - Malaga. The Albicelestes have conceded just 15 goals at home this season and have only four points less than Barcelona on the home table. Like Celta, Real Sociedad have been a real thorn in Barca's path, but again it has been at home. 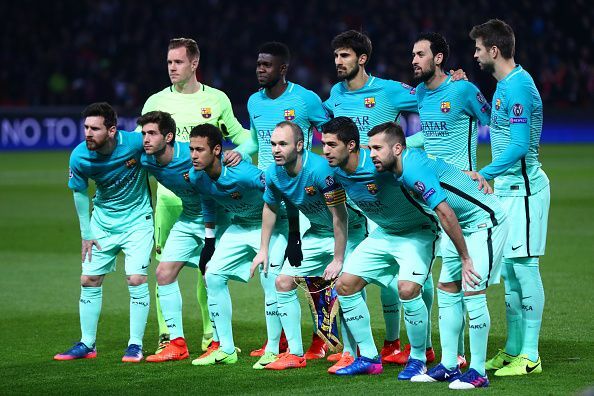 At the Nou Camp, they have conceded 10 goals in their last three visits. Next up is Real Madrid. In La Liga, if two teams finish with the same points, their head to head record is compared rather than the goal difference. Real got the away goal in the 1-1 at the Nou Camp early on in the season. Barcelona will need to get a win or at least a scored draw in order to maintain parity. Following the Clasico, Barcelona have five straight winnable fixtures against Osasuna, Espanyol, Villarreal, Las Palmas, and Eibar. Apart from Villarreal, Barcelona should pocket maximum points from the rest easily. Sevilla has been ignored as title contenders for the longest possible time this season, but the Los Nervionenses are like Donald Trump - they just won't go away. In their remaining fixtures, they have taken the exact same number of points as Barcelona in the first half of the season. However, they, too, have the Champions League to contend with but having played a part in three successful Europa League campaigns will hold them in good stead going into the last two months of the season. Sevilla will start Gameweek 24 against Real Betis, who are 15th on the table and follow it up by hosting Athletic Bilbao. After two winnable games against Alaves and relegation-threatened Leganes, they will travel to the King Power stadium to face Leicester City in the second leg of the Champions League round of 16. After this, they will make the journey to Madrid to face Atletico, who in turn will have Bayer Leverkusen on their minds, in a clash that would decide whether or not they remain in the title race. After a clash with relegation-zoned Sporting Gijon, a trip to fellow contenders Barcelona awaits them. They have suffered a torrid time at the Nou Camp in the past, but they were only narrowly beaten by the Catalans earlier in the season and it might not be the easy game that Barcelona usually enjoy. Over the next three games, Sevilla have fixtures that have yielded just 4 points out of a possible 18 in the last two years - Deportivo La Coruna, Valencia, and Granada. However, they have managed to take six points out of a possible nine in the reverse fixtures this year. The main problem for Sampoli will be his squad management during this period if they get past Leicester City. During their past Europa League campaigns, they were never involved in a title race, but this time it is different and it might be a ball too tough for Sampoli to juggle. Following the Granada game, Celta Vigo, Málaga, Real Sociedad, Real Madrid, and Osasuna await the reigning Europa League Champions. In the first round of fixtures, Sevilla took maximum points from all these fixtures but with the exception of Osasuna, who were in the second division, they were unable to pick up a win in any of the corresponding fixtures last year. While they might be able to do the double over Celta, Real Sociedad, and Osasuna, doing the same to Real Madrid and Malaga away from home might be a big ask of Sevilla. Winning the league might just be a step too far for Sampoli in his first season with the club, but it looks that he has set them up brilliantly for their highest points total in La Liga history. With the English and the German league having already selected a Champion-elect, the focus is now on La Liga. Each game from now till the end of the season will be watched keenly.